Fien & Teun have great adventures on the farm. Sebastiaan the pig, Mr Bear, the chickens and the cows are their biggest friends. 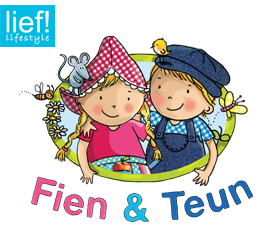 Fien & Teun are part of lief! lifestyle.